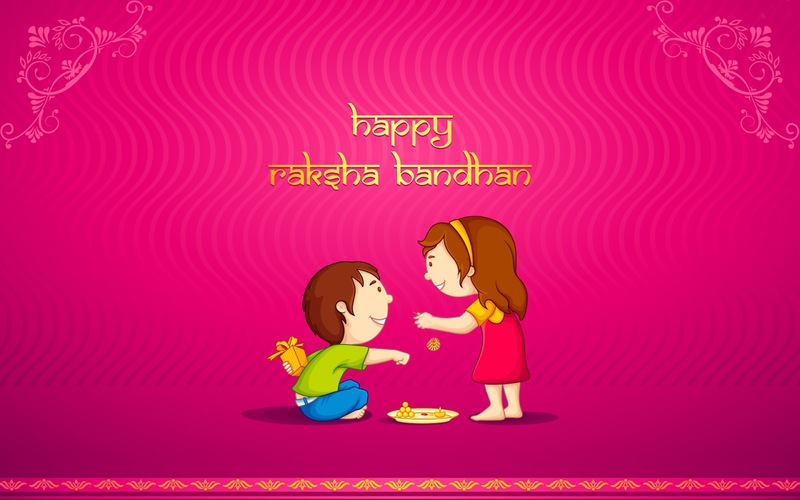 This year is special as my daughter has a little brother…my brother’s son.. Isn’t it awesome!!! 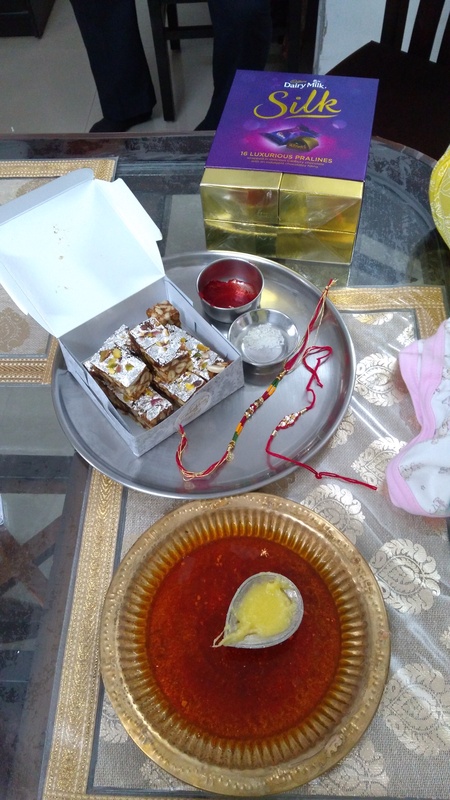 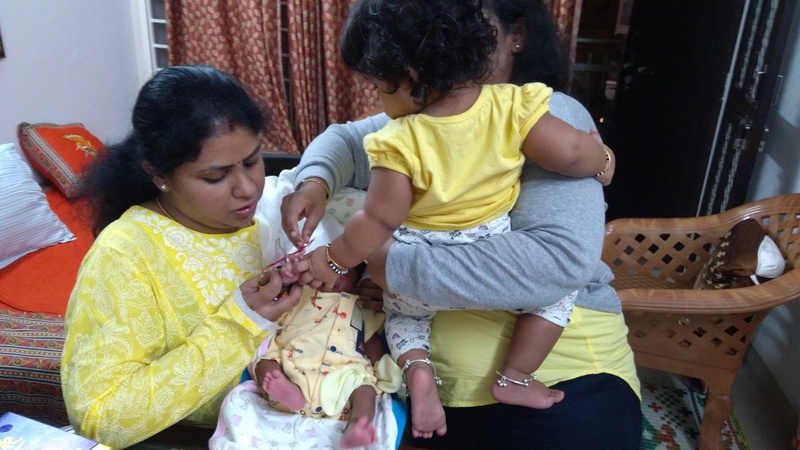 Now along with me she will also tie Rakhi to little Laksh( that’s what we have named the newborn)..Oh by the way Laksh is debuting on WordPress for the first time!!! 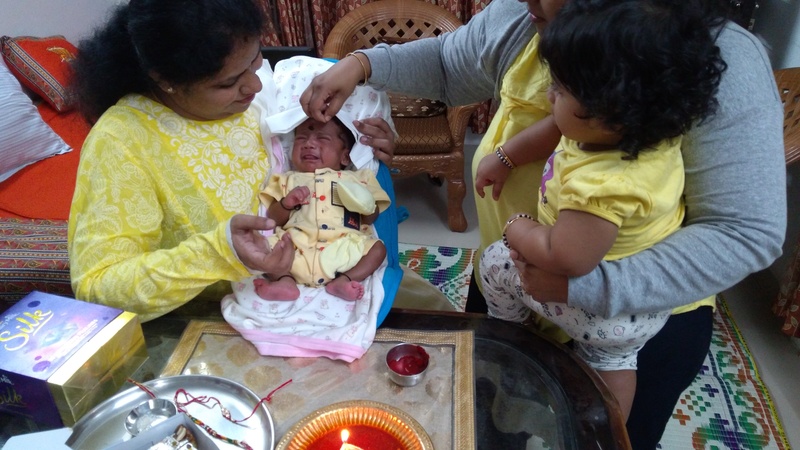 May he grow up to be the most awesome brother ever, as of now I pray that both the little ones eat, sleep, play, repeat and enjoy their childhood..
Rhea applying Tilak to Laksh..